MidBoss’ cyberpunk adventure 2064: Read Only Memories Integral has launched on Nintendo Switch today, August 14th. Having already moved 200,000 copies across PS4, Xbox One, and PC, it hits the Switch eShop with all previously released content and updates to make it a definitive edition of sorts. 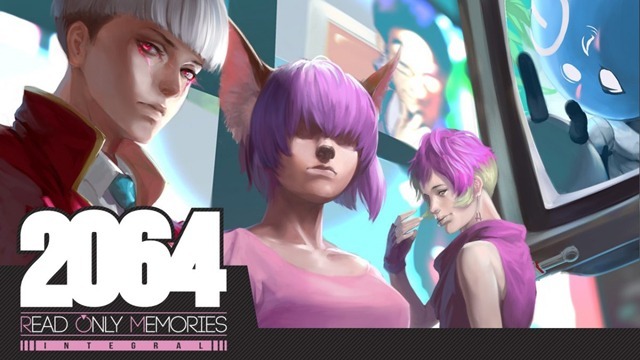 For those not familiar with 2064: Read Only Memories and its sprawling multi-character opus, it is a click-and-point adventure set in Neo-San Francisco that explores various socio-political themes. The adventure is led by the AI being Turing and a host of genetically modified robot companions, and dressed up in contemporary 16-bit style pixel art that’s popular within the genre. To wit, the Integral edition of 2064: Read Only Memories launches with the enhancements brought to other versions including a “PUNKS” storyline, a jukebox and art galleries, additional narratives and full-on voice work, along with other optimizations for performance.